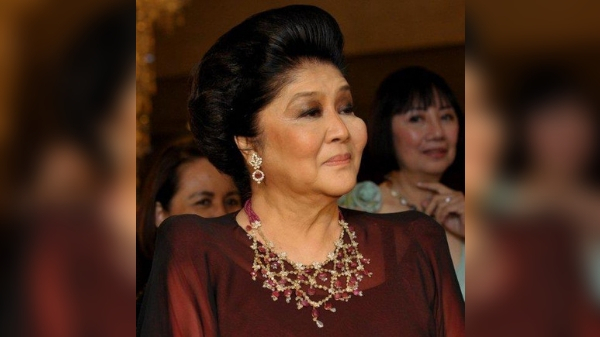 MANILA, Philippines – Ilocos Norte Representative Imelda Marcos was found guilty of graft and faces arrest on Friday, November 9. Arrest warrant has been issued for the arrest of Ilocos Norte Representative Imelda Marcos. The Sandiganbayan 5th Division said the former First Lady is guilty of seven counts of graft for using her position to maintain Swiss bank accounts during the regime of her husband, former President Ferdinand Marcos. The graft cases were filed in 1991. Meanwhile, the anti-graft court acquitted Imelda in three more counts of graft. Arrest warrant for Imelda was already issued by 5th Division Chairman Associate Justice Rafael Lago. 89-year-old Marcos is facing a sentence of imprisonment of 6 years and 1 month to 11 years for each of the 7 counts. Imelda is also sentenced to perpetual disqualification from public office. Since graft is a bailable offense, the Ombudsman lead prosecutor confirmed that Imelda can pay the bonds for her provisional liberty. Imelda was absent when the court read its sentencing. She was given a full month to explain why she failed to appear in court. In an earlier statement, Imelda had stated that they are intending to file a motion to reconsider. “This President does not recognize relationships, alliances, friendships with respect to violations of the law. He always adheres to the principles that if you violate the law, whoever you are, you'll have to answer for that," he added.